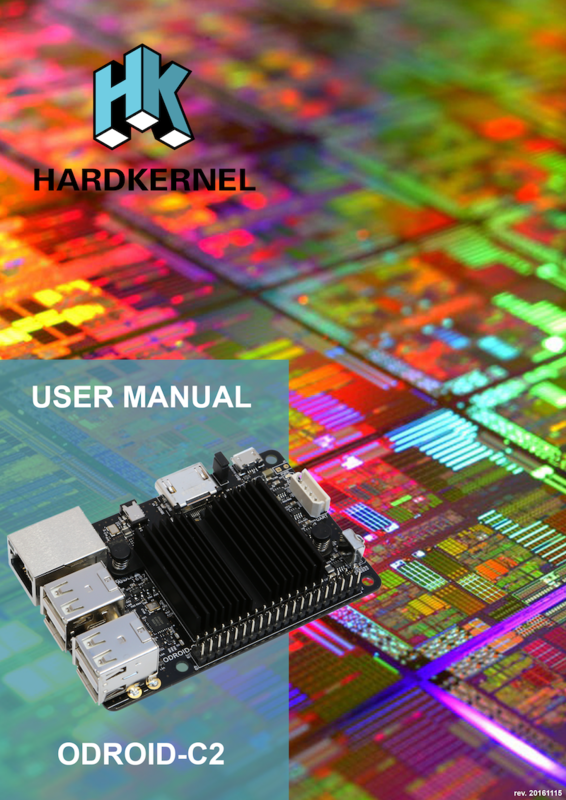 Hardkernel is proud to announce that the ODROID-C2 User Manual is now available! Please provide feedback, corrections, and suggestions for the manual on this thread. Please do NOT post any general questions on this thread. pg 39 "...actually shot at 24fps..." should be "...actually shot at 60(?)fps..." pg 45 "...the reason why many, if not most people..." should be "...the reason why many, if not most, people..."
pg 86 "...from ay a clock..." should be "...from any(?) clock..."
Thank you @mad_ady and @paulcrawford for the excellent proofreading! Would you please double check that I've corrected all the typos and errors that you mentioned? The only one that I believe still needs to be addressed is to add the manufacturer for the 128GB eMMC module to page 9. All looks good regarding the edits I found. Also - page 18 - Is sound over HDMI supported - no? I adjusted the text, thank you for letting me know! Also, on page 76 there is a paragraph about UPS in the middle of the discussion about the SATA adapter. Nice work on the manual looks and reads very well! Is there an easy way to make it available via html pages for quick access without defacing your excellent design? brad wrote: Nice work on the manual looks and reads very well! You can try something like this if you want to read the manual in HTML: http://www.pdfonline.com/convert-pdf-to-html/. I will look into this, thank you for letting me know. I removed the extra paragraph on Page 76, which was a typo from the layout process. The USB to SATA docking station on page 74 is included in the manual in case anyone purchased one before it became unavailable.